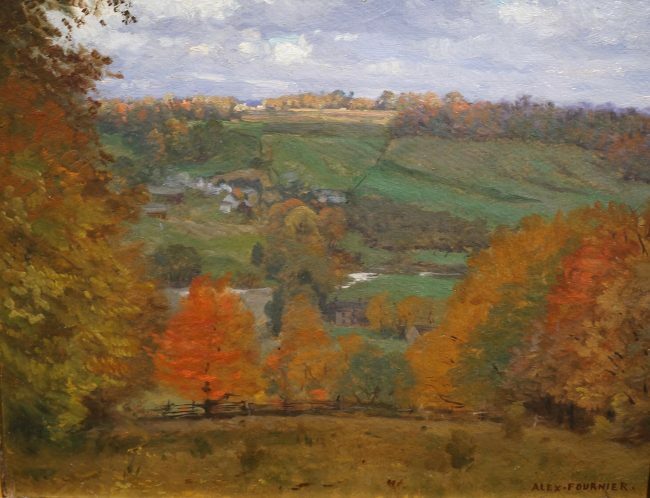 Alexis Jean Fournier was born in St. Paul, Minnesota in 1865. 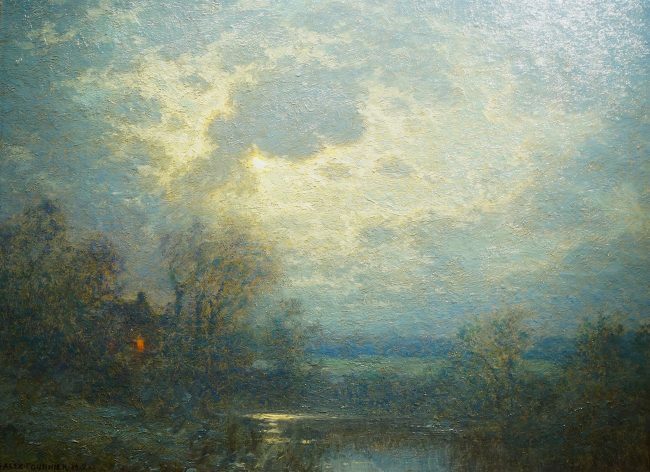 Fournier began as a sign and scenery painter before studying with Douglas Volk who was the founding director of the Minneapolis School of Fine Arts. 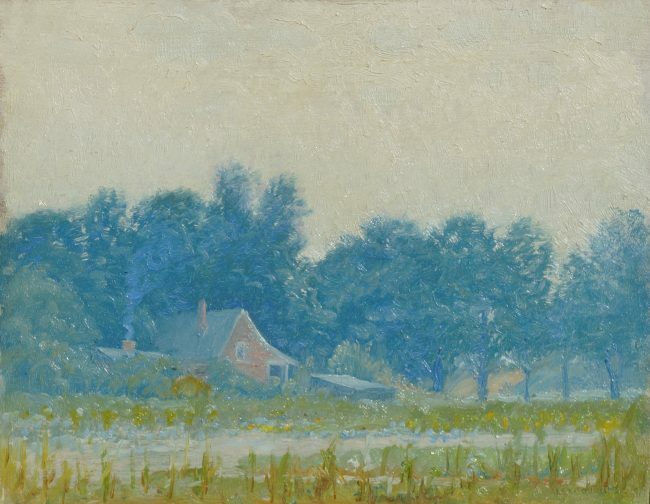 Fournier opened a studio in 1888 on Nicollet Avenue in Minneapolis, where he painted several cityscapes of Minneapolis. 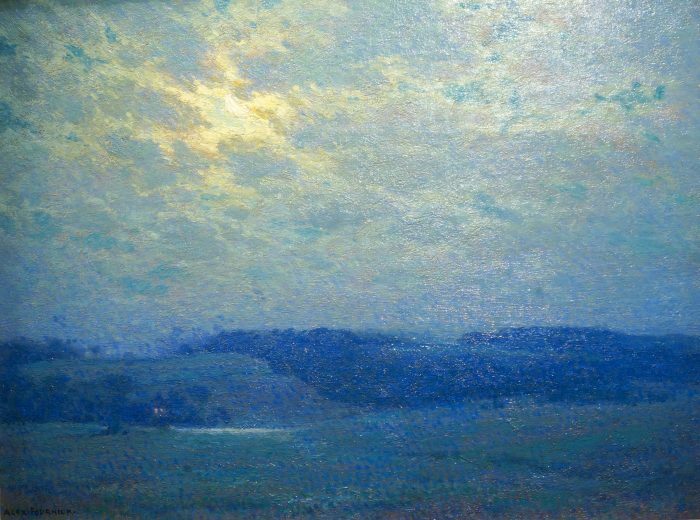 These artworks were very naturalistic in comparison to the Barbizon style he adopted later in his life. 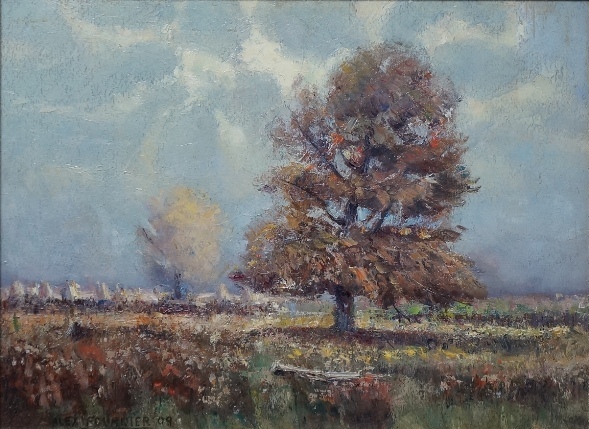 In the autumn of 1883, Fournier moved to Paris, France. 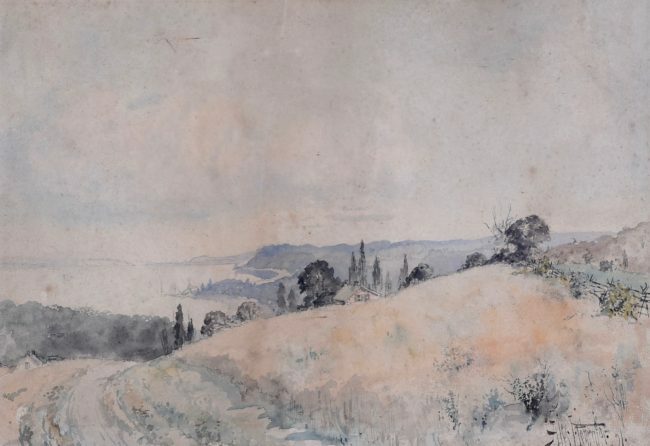 He studied at the Academie Julian under Jean Paul Laurens, Henri Harpignies, and Benjamin Constant. 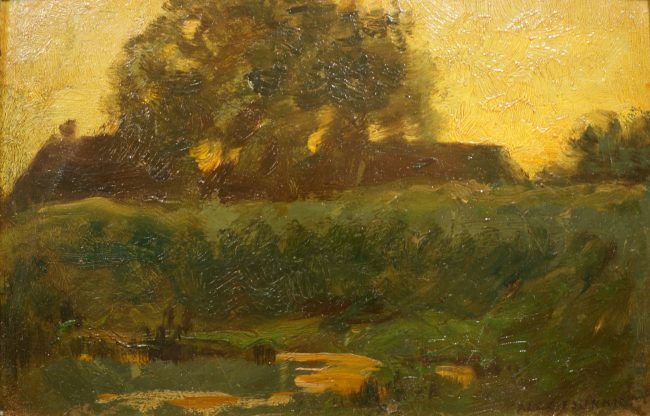 Founier began painting en plein aire and created wonderful landscapes in the Barbizon style. He showed his work at the Salons and several American Exhibitions. 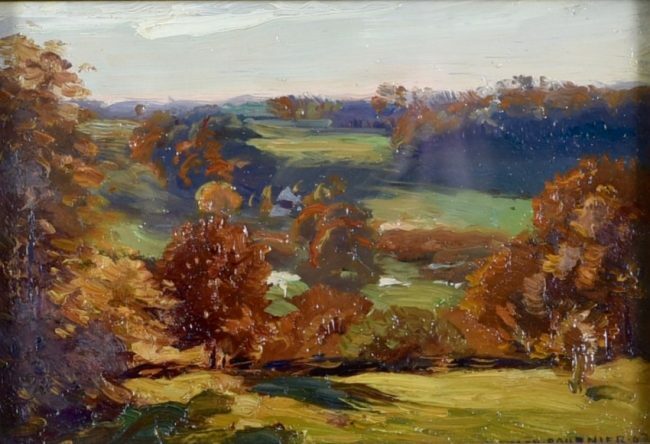 In 1902, Founier and his family moved to East Aurora, New York and became an artist-in-residence for Roycroft. 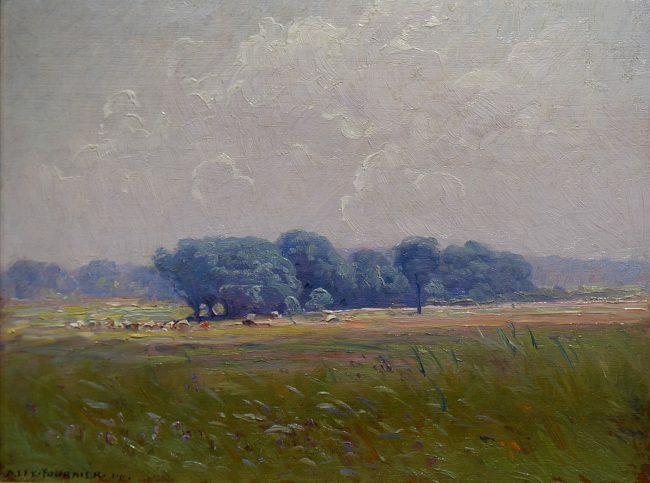 He received this opportunity from Elbert Hubbard who purchased one of his paintings in Chicago. Hubbard was the founder of the Roycroft artisan community. 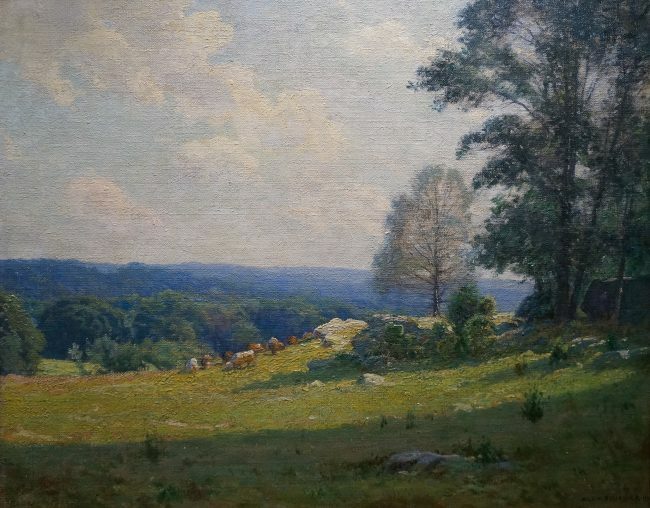 During this time, Fournier began to feature more tonalist landscapes which were exemplary examples of the American Arts and Crafts movement. 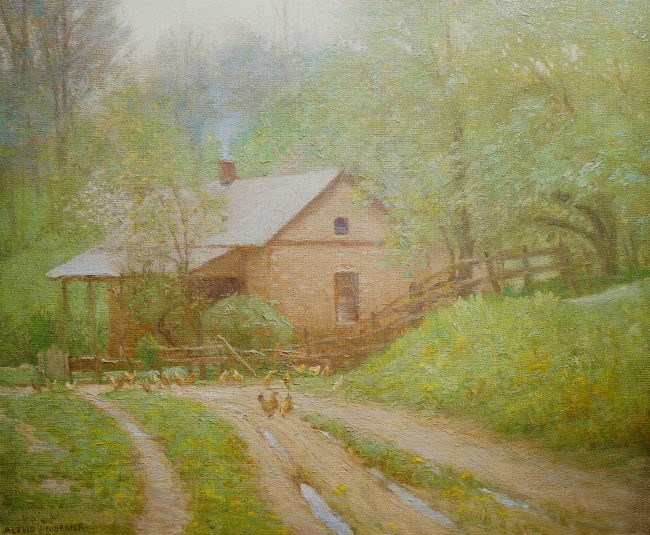 Fournier would also spend time in the artist colonies of Woodstock, New York, Hoosier School in Indiana, and Provincetown, Massachusetts. He remained involved with the Roycroft community and lived in East Aurora until his death in 1948. 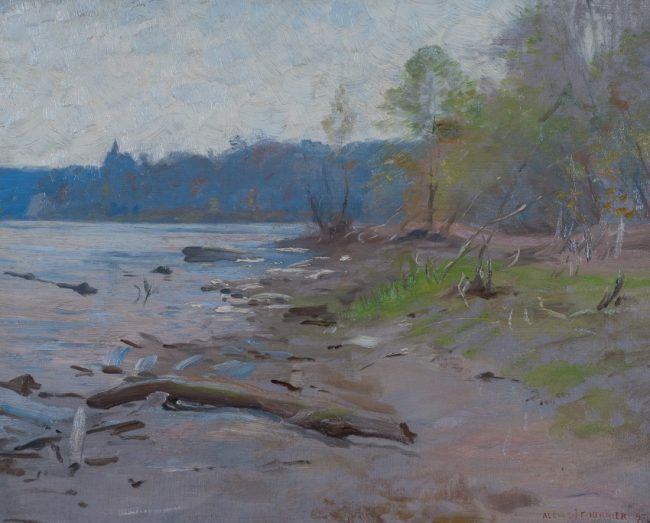 For more on Fournier and the local landscape of Minneapolis, read on here. Hiro Fine Art is interested in purchasing artwork by Alexis Fournier.